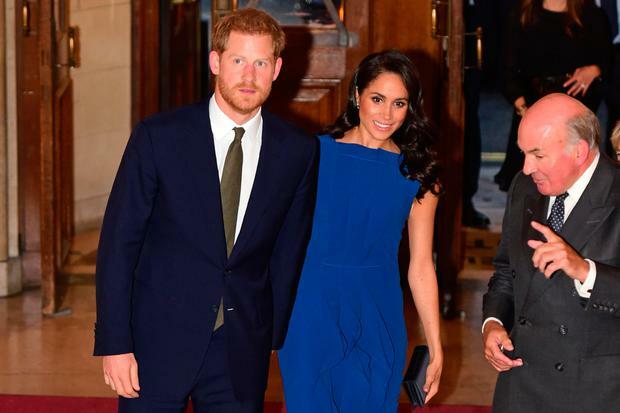 Meghan Markle took a detour from her monochrome signature style in a fitted cobalt blue dress for an event with husband Prince Harry. Britain's Duchess of Sussex (37) and her husband of four months were guests of honour at the "100 days of peace" concert to commemorate the centenary of the end of the First World War at Central Hall Westminster in London on Friday night, and Meghan, whose affection for trouser suits has been displayed in recent months, went off course in a colourful ensemble. The former Suits star arrived hand in hand with her other half, in a dazzling sleeveless Jason Wu dress with pleat detail, a pair of crystal encrusted heels by Aquazurra, one of her preferred designers, and she has also begun some recycling: including a pair of Birks Snowflake snowstorm mini diamond earrings which she wore during her Dublin trip and a navy blue Dior envelope clutch. Meanwhile, it's reported that Harry's father Prince Charles (69) has grown particularly fond of his new daughter-in-law and the positive influence she has been on his son's life. "Charles has been very supportive of Meghan and everything she is going through with her own father. He’s got a real soft spot for her and thinks she’s the best thing to have happened to Harry," an insider told Vanity Fair. "The wedding was a real turning point. 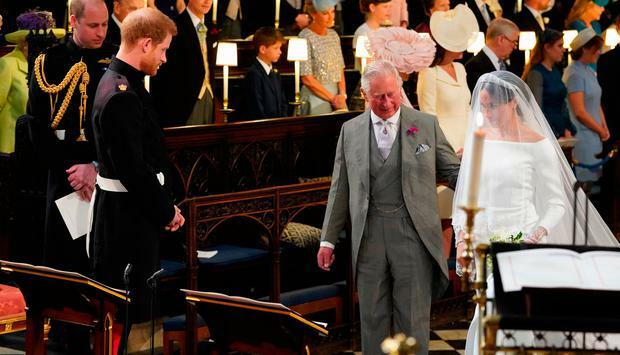 Charles showed so much love towards Harry and Meghan, and I think Harry will be eternally grateful to his papa for stepping in and giving Meghan’s hand in marriage. The bond between them is very close." The positive PR comes after a report in the Daily Beast which suggested that Charles's relationship with Harry and Prince William is more strained than ever, prompting Kensington Palace to release a rare statement in which they labelled the article as "complete fiction".